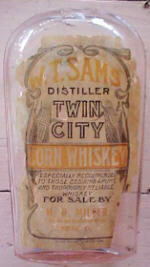 Label only W.T.Sams Distiller is from one owner of the Sams-McNabb Distillery/Bristol Distilling Co. That it is called Twin City Corn Whiskey is an added bonus. 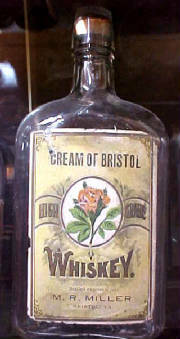 This bottle was distributed by M.R. 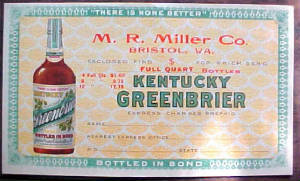 Miller in Bristol, VA. through his saloon. 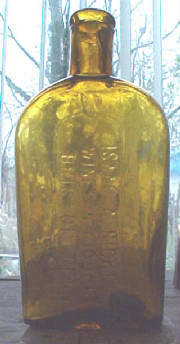 The flask itself is a commonly seen "strapside flask". 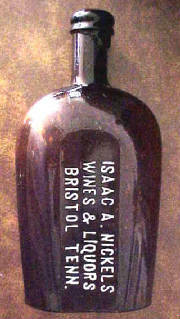 The neck of the flask is broken off, but the label and the information it provides is still priceless. 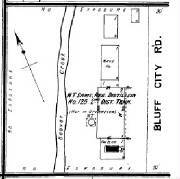 1907 Sanborn Fire Insurance Co. map, showing the W.T. 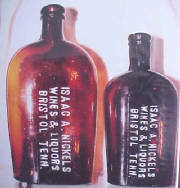 Sams Distillery alongside Beaver Creek and the adjacent Bluff City Road. It notes the Distillery as "not in operation." 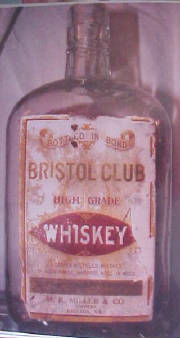 This was likely due to both Bristols becoming "Dry" in October of 1907.